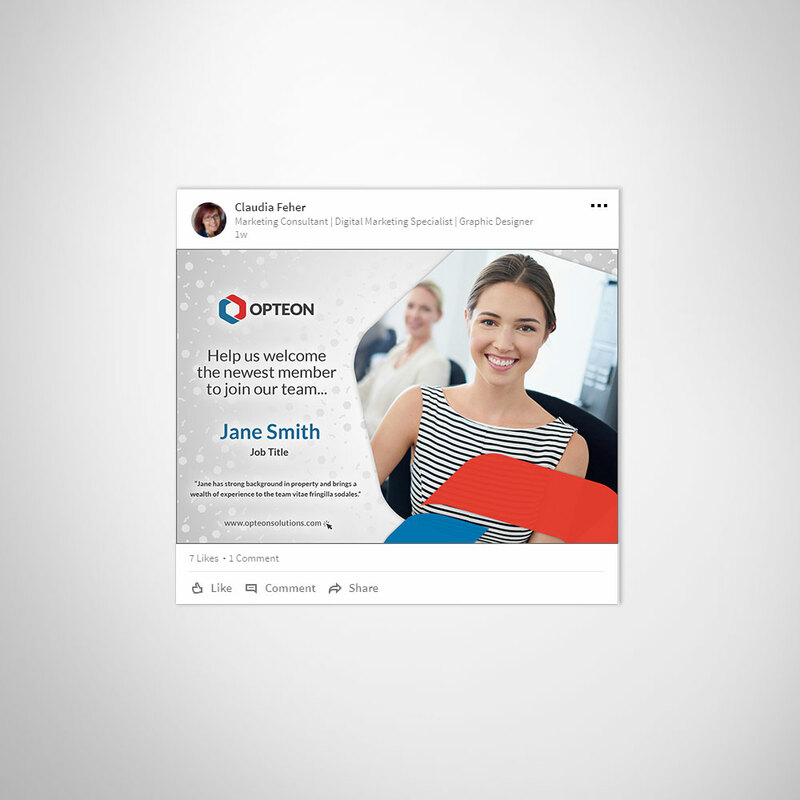 The client wanted custom branded and editable image templates they could used for LinkedIn and Facebook posts. These Photoshop template designs helped them to maintain the integrity of the brand and save cost on graphic design. 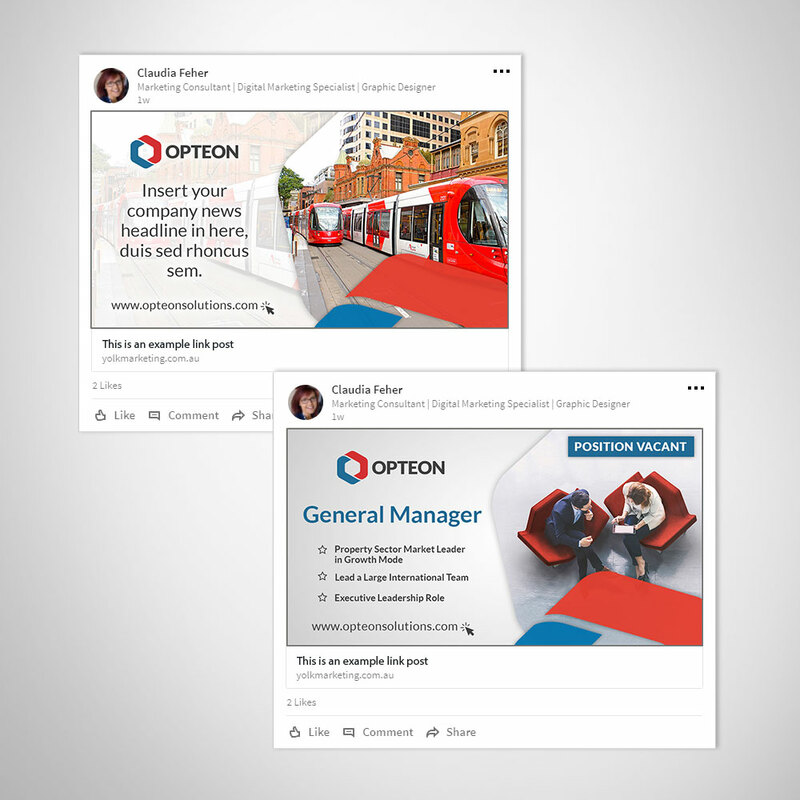 Yolk Marketing was asked to create a vibrant and branded template design that would stand out on social media platforms like LinkedIn and Facebook. Social Media post Photoshop templates were created for three types of content; Recruitment, Company News and Staff Announcement. The Photoshop files were set up so they were easy to understand and use by the in-house marketing coordinator.